Govt. of Andhra Pradesh released DSC 2012 Notification today for 21343 teacher posts. Among these 21,343 posts, there are 11,602 Secondary Grade Teacher Posts, 5,703 School Assistant Posts all subjects included, 2000 Language Pandit Posts, 365 Physical Education Teachers and 1,673 Municipal Teachers. Last date to apply online: March 16th, 2012. Govt. released new amendments vide G.O. Ms.No.12, Dated: 30/01/2012. As per above mentioned G.O. (i) Sericulture, (ii) Horticulture, (iii) Forestry and (iv) Poultry subjects shall be added as allied subjects in the qualifications for the post of School Assistant (Bio. Science). Inter and Degree in same subject is not necessary now. 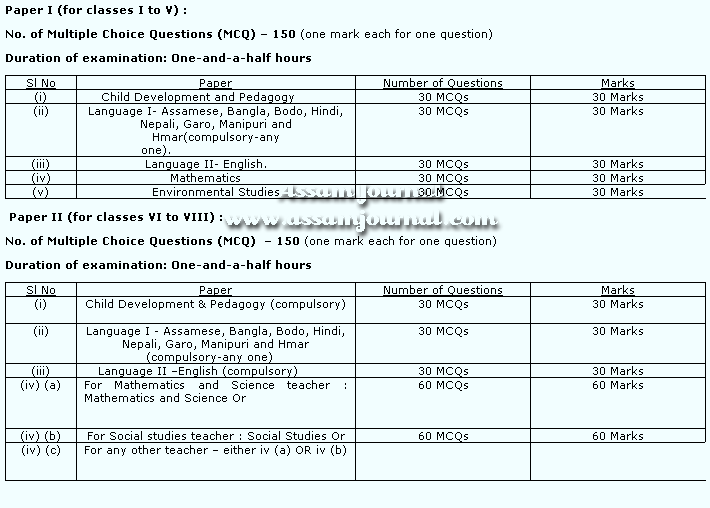 Assam TET 2011 DISTRICT WISE PROVISIONAL MERIT LIST. Canara Bank invites ON-LINE APPLICATIONS, from candidates who are qualified and holding a valid Common Written Examination-PO/MT-2011-12 score card issued by IBPS, for recruitment to the post of Probationary Officer in Junior Management Grade Scale-I. Eligible candidates, who are having valid IBPS CWE-PO/MT-2011-12 Score Card are requested to apply ON-LINE through Bank’s website www.canarabank.com. No other means / mode of Application will be accepted. Age Limit: Candidates age is minimum 21 years and maximum 30 years as on 01/07/2011. Educational Qualification: Any Degree with 60% Marks (SC/ST/PWD Candidates any Degree with 55% Marks) and Should have valid IBPS Score Card obtained in Common Written Examination for Probationary Officers / Management Trainees 2011-12. Through Challan: For SC/ST/PWD Candidates Rs-50/-, for All Other candidates Rs-100/- paid through Challan form in any of the Canara Bank Branches. Candidates are requested to download the Fee Payment Challan Form from the Canara Bank website. Selection Process: The mode of selection is on the basis of Score obtained in stipulated CWE for PO/MTs, Group Discussion, and Interview. How to Apply: The eligible candidates can apply through online application mode from the website www.canarabank.com between 30/01/2012 to 15/02/2012. following Operation Circles of APEPDCL O&M Service, from 23.01.2012 to 22.02.2012. The desirous eligible male candidates may apply by satisfying themselveswith the terms and conditions of this recruitment on or before 22.02.2012. These vacancies are subject to variation at the time of recruitment based on the necessity. ** The candidates can apply for the available vacancies IN ANY ONE OF THE CIRCLES IN APEPDCL., and their candidature shall be considered for the vacancies existing only in that Circle. and order from the Government. 1. AGE : Age not below 18 years and not above 35 years as on date of notification (i.e. 22.12.2011). Relaxation in upper age limit permissible upto 5 years for SC/ST/BC candidates. For in- service contract workers, working in this organization, the age at the time of entry into the organization as contract worker will be considered. Rewinding (EDAR) and Electrical Wiring & Contracting (EWC) on par with Electrical Wiring and Servicing of Electrical Appliances (EW & SEA) from a recognized Institution/Board. Probation for a period of 2 years . 3. The candidate will be governed by the rules and regulations applicable or as framed by the APEPDCL and as amended from time to time. The Tripartite Agreement entered into between the APSEB, Govt. ofAP and the Employees Associations is not applicable to these candidates and they shall at no stage be entitled to claim any right what so ever arising out of the said Tripartite Agreement. APPLICATION FORM : The candidates can down load the application forms from the APEPDCL website (www.apeasternpower.com) from 23.01.2012 to 22.02.2012. APPLICATION: The candidates should submit their application form to theconcerned Circle Superintending Engineer as shown below on or before 22.02.2012 at 5PM. Government in their G.O.220 School Education Department dated 10-11-2008 and G.O.Ms.No.153, School Education Department, dated 03.06.2010 have ordered the Teachers Recruitment Board to recruit Secondary Grade Teachers under the Special Rules for the Tamilnadu Elementary Educational Subordinate Services for Standards I to V in Elementary / Middle Schools. Based on the Government Orders the Commissionarate of Employment and Training has sponsored the candidates according to their registration seniority. Further as per the interim directions of the Hon’ble Supreme Court of India in SLP (C) Nos.18227-18228/2008 and the above mentioned Government Orders. applications are invited from eligible candidates. Letter No. 14483 / CMPC / 2011—1, dated: 05--01—2012. The Director, School Education, Chennai-6. The Director, Adi Dravidar Tribal Welfare Welfare, Chennai – 5. The Director, Backward Classes / Most Backward Classes Welfare, Chennai – 5. The Accountant General (Accounts & Entitlements), Chennai- 600 018. The Principal Accountant General (Audit.I & II), Chennai-600 018. The Accountant General (CAB), Chennai-600 009 / Madurai. The Commissioner, Treasuries and Accounts, Chennai – 15. The Director of Pension, DMS Complex, Chennai-600 006. The Director, Local Fund Audit, Chennai – 108. The Pension Pay Officer, Chennai- 600 006. The Pay and Accounts Officer,( Secretariat / North / South / East) Chennai-9/ 1 / 35 / 8. The Pay and Accounts Officer, Madurai - 625 001. All Commissioners of Corporations and Municipal Commissioners. Grade – Clarification – Issued. Ref: 1. G.O.Ms.No.234, Finance (PC) Department, dated: 1-6-2009. 2. G.O.Ms.No.235, Finance (PC) Department, dated: 1-6-2009. 6. G.O.Ms.No.23, Finance (PC) Department, dated:12—01-2011. 8. G.O.Ms.No.58, Finance (PC) Department, dated:25—02-2011. P.30 /I/1-74 (OMC)/2011-12/1135/70903, dated: 12—7—11 and 08-11-11. (Rs.9300—34800 + Grade Pay Rs.4700) those who have acquired B.A./ B.Sc./ B Lit. subject to the conditions stipulated in para—4(i) of the Government letter third cited. to fix the pay of teachers in the appropriate scales of pay indicated in para—4 above. with reference to para -2 (vi) of Government Order second cited. School Education Department, Chennai – 9. Adi-Dravidar and Tribal Welfare Department, Chennai – 9. Backward Classes, Most Backward Classes & Minorities Welfare Department, Chennai-9. Finance (Education / AD & TW / BC, MBC & MW) Department, Chennai – 9. Stock file / Spare copy.